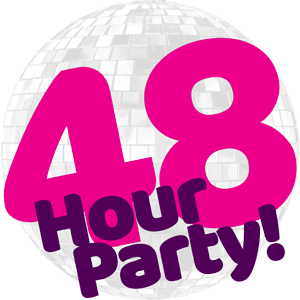 Deal | 48 Hour Party! » Adult Only Party Weekends. » Stay from just £39pp Self Catering or from £59pp Half Board. 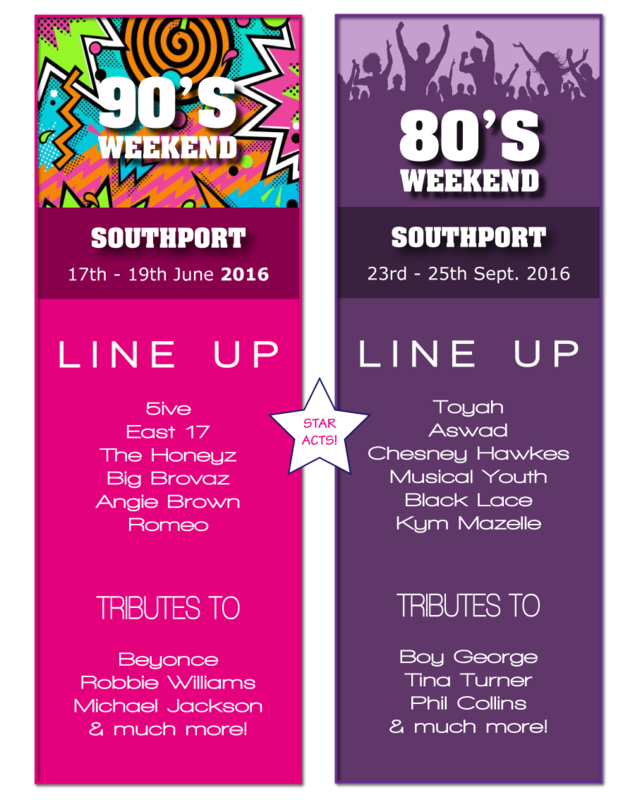 Enjoy a two night Party Weekend at Pontins Southport Holiday Park on 17-19 June 2016 (90’s), or on 23-25 September 2016 (80’s). You’ll stay in a 4 Berth Popular apartment for a minimum of 2 people, or a 6 Berth Popular apartment for a minimum of 4 people sharing. There’s an excellent line up of original bands and solo artists, fantastic tribute acts, plus comedians, DJ’s, fancy dress, fun and mayhem. There are late bars, restaurants and takeaways, plus lots of activities & entertainment taking place throughout the day; what better way to spend the weekend!? CLICK EITHER WOWCHER OR LIVING SOCIAL TO BOOK! 1. Adult only events, all guests must be 18 years or over. 2. All places are subject to availability. 3. Named acts are scheduled to appear, but are subject to change without prior notice. 4. Acts will be split over two venues over two nights. 5. Prices based in an upper floor Popular apartment for 2 nights, midday check out. 6. Min. 2 people based in 4 Berth apt, min. 4 people based in 6 Berth apt. 7. From £39pp based on Self Catering, £59pp option based on Half Board basis. 8. Prices are per person based on 2 people sharing so 2 vouchers must be purchased. 9. Excludes bed linen, towels & electricity. 10. £10 surcharge for ground floor accommodation. 11. A valid Wowcher/Living Social voucher is required to process your booking. 12. Please ring Pontins on 0844 576 5944 to book or check availability. Calls are charged at 7p per minute + your chosen phone company access charge. 13. Voucher must be redeemed by 08/06/16 no refunds permitted after this date. ‘Redeemed by’ means – date holiday must be booked by. 14. For all other terms and conditions visit http://www.pontins.com/terms-and-conditions/ or ask at time of booking.